Schools across Dorset are being invited to join the Big Pedal 2017 – a national challenge to get more young people cycling and scooting to school. The Big Pedal runs from Monday 20 to Friday 31 March and will see pupils, teachers and parents across the UK leave their cars at home and get on their bikes and scooters for their journeys to and from school. It’s the largest competition of its kind and is backed by Olympic gold medallist cyclist Joanna Rowsell Shand. Dorset County Council and Eco schools in Dorset are also backing the initiative, in partnership with the national walking and cycling charity Sustrans. Schools can compete with one another during the challenge and could pick up some great prizes for their efforts provided they have registered on the national website. ‘Around the world in 10 days’, is this year’s theme, with pupils tracking their progress on a map of the world, learning about the countries and cities they pass through on their way. Joanna, one of the best British cyclists of her generation, said: “Cycling is great for young people’s health, confidence and independence. The safer and more comfortable they feel on their bikes, the more they will enjoy cycling. Last year more than 1,500 schools signed up to take part and teachers, parents, siblings and pupils made more than a million journeys (1,179,900) to school on their bikes and scooters. 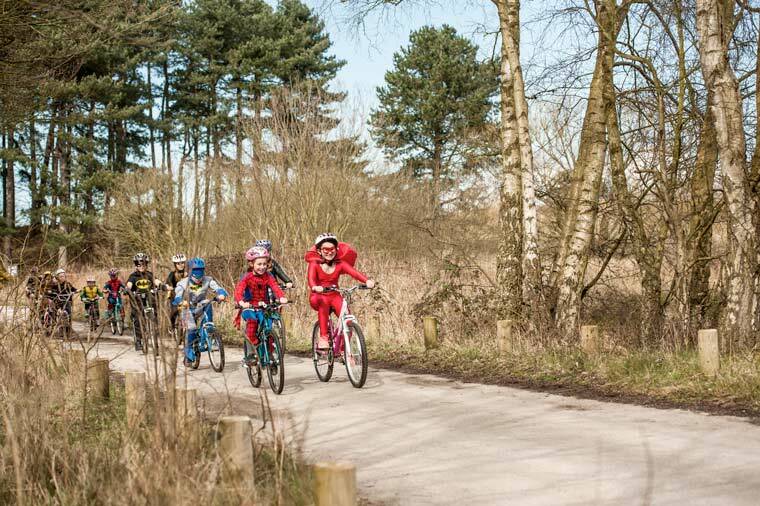 Peter Finney, the county council’s Cabinet member for environment said: ““The Big Pedal is fun way to encourage families to lead more active lives. For schools unable to take part in the main challenge there is also a one-day version, which can include cycling and scooting activities in the school day as well as on the journey to school. All schools will be entered into daily prize draws for rewards, including bike and BMX stunt shows, and equipment if more than 15% of a school cycle or scoot on each day of the challenge. There are also local prizes for Dorset schools sponsored by Dorset County Council. Ask your child’s school to sign up to The Big Pedal 2017.